As discourse grows on the online presence in an environment of increased public surveillance, the exploration of dual personalities and avatars is becoming all the more prolific. It’s no wonder that our innate intrigue with masks and hidden identities is growing, too. Jym Davis, also known as @_false_face, taps into this mystique through a visual archive that documents the existence of masks and costume throughout the ages. An artist and sculptor himself, Davis’ research account reflects the otherworldly, ‘myth-building’ elements of his own work. We spoke to Davis about the influences behind his art, the natural fascination with masks and the evolution of his research practices. How did you begin your foray into documenting masks? I started collecting masks to use for photography projects and then about four years ago I decided to make my own. Then the masks really took over my artistic practice and became something collectable and sculptural. I’ve always been interested in the idea of transformation and disguise. The mask-making became an outlet for those interests. I also try to do as much research as possible when sketching mask ideas for shape, size, and pattern design. I do less research into the paper mâché and mask construction. That part is more intuitive and self-taught trial and error. You describe yourself as a ‘myth-builder’ – can you talk me through what this means? The figures in my photographs are sort of like characters in need of a story. They don’t reference any particular culture or narrative. I am, of course, influenced by other traditions and artists but I prefer to keep my creations mysterious and generally unexplained. Hopefully this will allow the viewer to make up their own story. Who are these characters in these unusual masks in these strange landscapes? When people come to me with their own stories or myths about the images then I feel like I opened up their imaginations. That is what I'm trying to do. 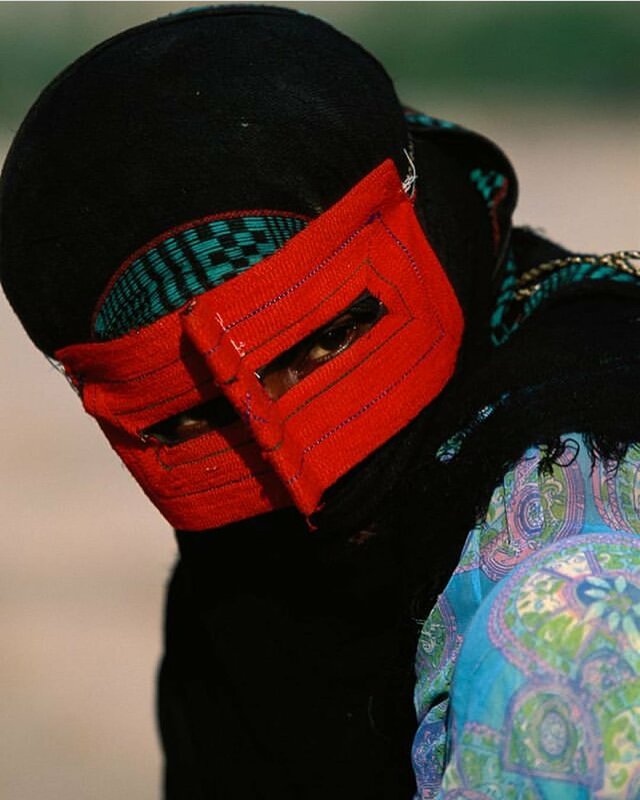 Where do you think the innate human fascination with masks and concealment comes from? We live in a world where our faces are recorded and on display constantly. People feel like they are under constant scrutiny. Some people seem to thrive on that but I think that scrutiny has also led to a big movement towards anonymity and withdrawal. Masks and costumes allow people to hide in plain view. People will try on my masks at art shows and I can instantly see the transformation. There is almost a relief in the instant transformation. Masks are also a universal thing. Every culture from around the world has some unique and interesting masking tradition. If you could choose from any mask in your personal archive to wear for a day, which one would it be and why? I do a lot of National Park Artist-In-Residencies in America and that has led me to make a series inspired by native wildlife. I think would enjoy wearing one of the larger creature masks like the alligator I created in the Everglades or the big-eared bat I made in Arizona. I’ve always envisioned a carnival style parade through a National Park with all the masks and costumes on display. Talk me through your research process – how you source imagery and do you have a team that assists? I work primarily on my own when researching new mask designs. People will also share images with me through social media. I teach at a University and use their library for fashion and masking inspiration. There are some amazing old books out there covering subjects like the history Mexican mask-making or European Winter Festivals. 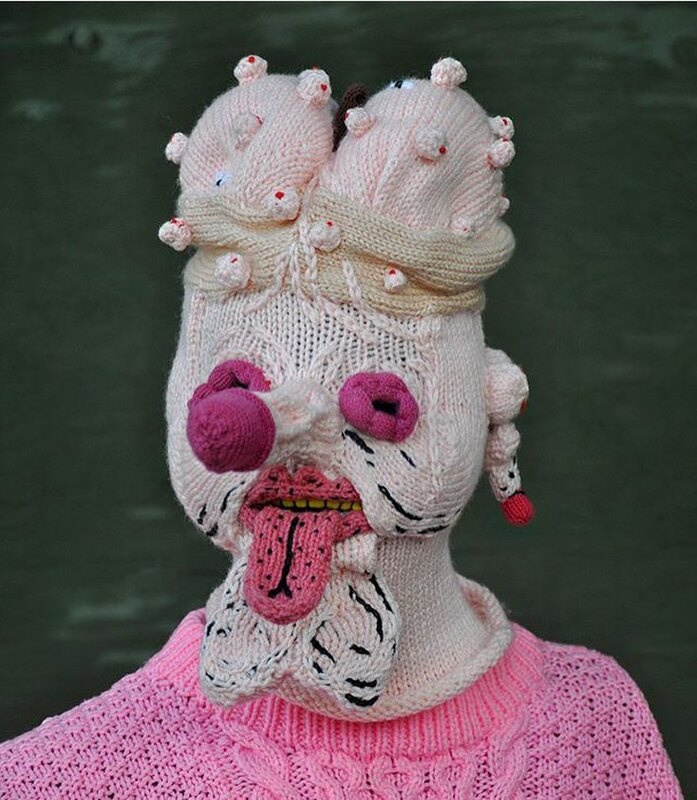 I’ve also developed a running list of my favorite international contemporary artists who make masks and / or costumes. Artists like Freya Jobbins in Australia, Rachel Pozivenec in California, the folks at Blamo Toys, and so many more. I have a knack for finding these ‘world-building’ artists who have a practice similar to mine. Do you see this universe of masks you’ve built expanding into other niche fascinations? Most definitely. The masks are moving me in the direction of figurative sculpture and wearable sculpture. People often tell me that they like art that they can touch. I sort of like that idea too.There is something satisfying about picking up an art object, exploring the textures, and even wearing it.